This site is all about the mighty desktop, but if you prefer gaming on the go then we don't leave you stranded in the dark when it comes to choosing and shopping for your gear. Despite being more expensive than desktops, laptops have their place in the gaming world, although it would be cool if you could easily build your own now wouldn't it? Anyway, buying factory refurbished laptops can be worth it if you don't mind getting an older model, as you can save quite a bit of cash which is exactly what you want if you're on a tight budget or just looking to really maximize bang for your buck. Here we look at what refurbished laptops are, whether or not you should buy refurbished, as well as some of the best current deals on refurbished gaming laptops that we could find at the time of writing. If you prefer buying new then check out the best 2017 gaming laptops instead. 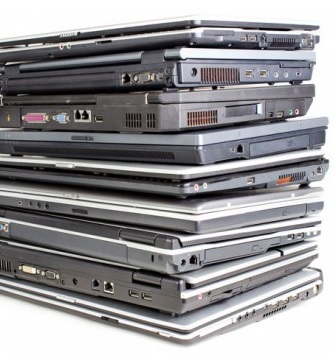 So what exactly is a refurbished laptop or notebook? A system that has been returned by the customer for a minor fault. Some examples that laptops are returned and sent for refurbishment are scratched screens, damaged packaging, software issues, hardware issues, and in some cases it's just a matter of the customer returning it as as unwanted gift or something like that. The laptop is sent back to the manufacturer and they fix whatever the problem/s were and run extensive tests to make sure it's been fixed. Once the unit is deemed fit for reselling, the laptop is cleaned, repackaged, and put back on the market, usually for a significantly cheaper price. But as mentioned before, with some refurbished models it won't be all that much less so you have to do your research before buying to weigh up whether it's worth it. Some people avoid refurbished products because they think it will be of second-rate quality, but this is not true with most factory refurbished laptops, and you won't notice the difference between buying new in most cases. If you're looking to save as much money as possible on your gaming laptop or notebook purchase, getting a refurbished model could be your best bet. If you look around you can sometimes find some great deals, and on the rare occasion you might stumble across a killer deal where you could be paying somewhere around half the original price if you get real lucky. The thing is though, not all refurbished laptops (or desktops for that matter) are all that much cheaper than newer models, so you've got to be sure to do your research to ensure you're getting at least a fairly good deal. If you do go ahead and buy a factory refurbished laptop for your gaming (and other) fun, make sure to buy from a reputable brand, store and/or seller, make sure it's in great condition, and check that it has some sort of warranty. You'll also want to compare its price and specs to newer models. Check out this guide to buying a refurbished laptop for more tips, but let's now get into some of the current best refurbished laptops on the market right now that will serve you well as a nice gaming machine. *Note* - These seemed like solid deals at the time of writing, however they may or may not still be good deals (or available) at the time you read this. Always do your own research when shopping for any tech products.